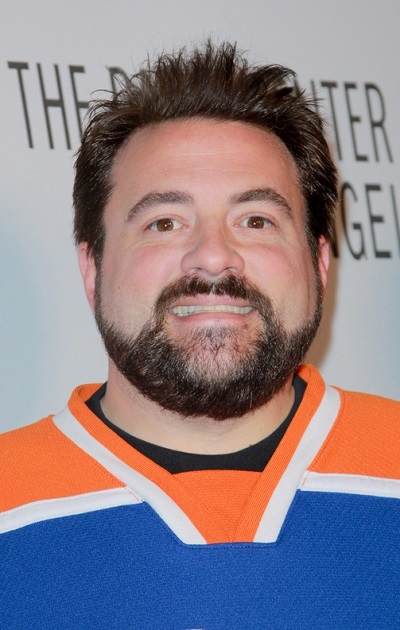 Place of Birth: Red Bank, New Jersey, U.S.
Kevin Smith is an American filmmaker, actor, public speaker, comic book writer, author, comedian, and podcaster. He is the son of Grace (Schultz) and Donald Edgar Smith. He is married to writer, actress, and broadcaster Jennifer Schwalbach Smith, with whom he has a daughter, actress Harley Quinn Smith. Kevin’s paternal grandfather was of Irish, English, and distant German, ancestry; Kevin’s three other grandparents were all the children of German immigrants. Kevin is Catholic. Kevin’s patrilineal ancestry can be traced back to William Smith, who was born, c. 1667, in Long Island City, New York. Kevin’s paternal grandfather was Edgar Joseph Smith (the son of Edgar Stansbury Smith and Margaret C. Daly/Daley). Kevin’s grandfather Edgar was born in New Jersey. Kevin’s great-grandfather Edgar was the son of William Smith and Elisabeth/Elizabeth A. Roe, and had English, and distant German, ancestry. Margaret was of Irish descent, the daughter of Michael J. Daly and Elizabeth Anne/Anna Beglan/Madden. Kevin’s paternal grandmother was Mary Augusta Fredericks (the daughter of Charles Herman Fredericks and Elizabeth B. Semler). Mary was born in New Jersey, to German parents. Kevin’s maternal grandfather was John Schultz (the son of Casper Schultz and Agnes). John was born in New York, to ethnic German parents from Poland. Kevin’s maternal grandmother was Anna Marie Went (the daughter of John Charles Went and Emilie Müller). Anna was born in New York, to a father from Hamburg, Germany, and a mother who was also of German descent. John was the son of Johann Heinrich Went and Auguste Wilhelmine Johanna Hahn. Looks English – that look covers about half the male population of England! You’re a very odd character. For years I thought he was Jewish. I think his wife is jewish. I’m pretty sure his wife isn’t Jewish. Yep her name may be German. nice job follers. Could you add Billìe Joe Armstrong of Green Day?